To make this "paint," I mixed 3 tablespoons of powdered sugar, 1 teaspoon of water, and 2 drops of liquid food coloring. Apply with a paintbrush. If needed, run your fingernail around any wiggly edges to smooth them out before they dry. Love this Jessica! I totally want to do this! :P laughing about the licking. Very cool. This is such a great idea !!! This could be so cute for a surprise ! I'm really thinking of doing a special dinner using this idea ! Great idea! Now white dishes are in right now too. The only thing is if you had to put salty food on top, I would think it would get a little sweet. Too bad you can't make the icing more savory. cute idea. great job -- works for any occasion. This is so clever! I can't justify buying lots of plates for different different holidays, but I could do this! Speechless. This will solve everything, forever. What a great (and simple) idea! 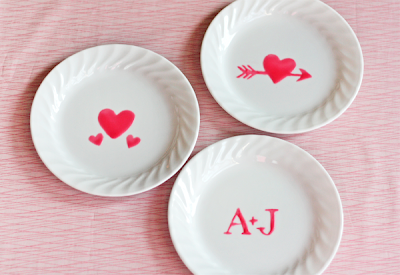 I think I might do this for my girls' Valentine's Day breakfast plates! I read your blog all the time, but I just had to comment on these plates. They are SO CUTE!!! I love this idea. Thank you for sharing it! Brilliant! I just love simple but WOWEE ideas like this. Can't wait to plan my V-Day party with some of these accents. Oh how fun! I think this would be sweet at any point in the year. Maybe draw up some colorful balloons to accompany a piece of birthday cake? You could, maybe, substitute the powdered sugar with corn starch. It will go with the savory dishes as well. A wonderful idea. My daughter would love this while drinking her milk! "Don't tell anyone your tongue made contact with their plate." - Hilarious!!! Thanks for the early morning laugh! Brilliant! It's made even cleverer by being so simple :) Thanks! so great and easy! yay! Brilliant Jessica. So great to meet you as well! What a cool idea! Looks so cute! Absolutely delicious! The greatest idea for Valentine's Day. A kiss from Portugal and Congratulations for the fantastic blog! 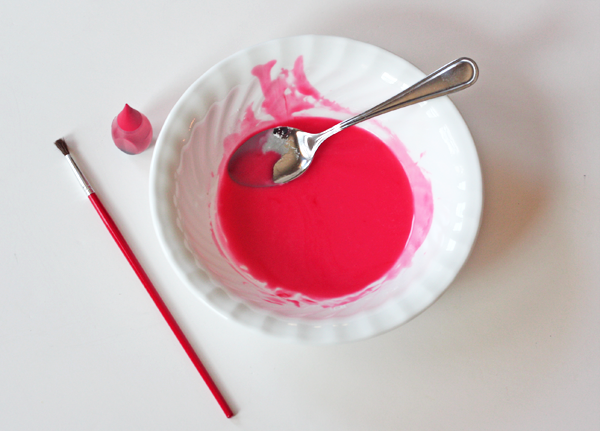 I was just thinking the other day I wanted to paint dishes but have them edible. Does this wash off once you clean them? What a fun and fantastic idea! Thanks for sharing. 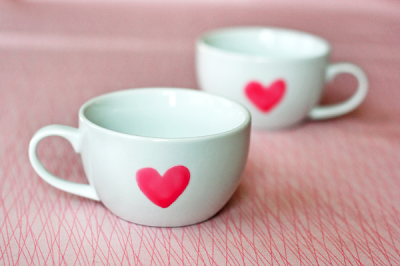 Love the hearts on the cups. Super cute idea! You'll love this one! An orange pen! Oh how fun!! Might have to try this! did you use a stencil for the letters? I love it! We're going to try it for sure this year. That's just great ... thanks for sharing the idea! This is wonderful! Mainly because you've found a way to paint with SUGAR. Bless you. What a fun idea. This would be great to personalize dishes for a party. Love this! I love the idea, but the suggestion of LICKING someone else's plate is unbelievable. I hope none of you actually do this. I love this!!! I did it this morning with the kids and it was so much fun. 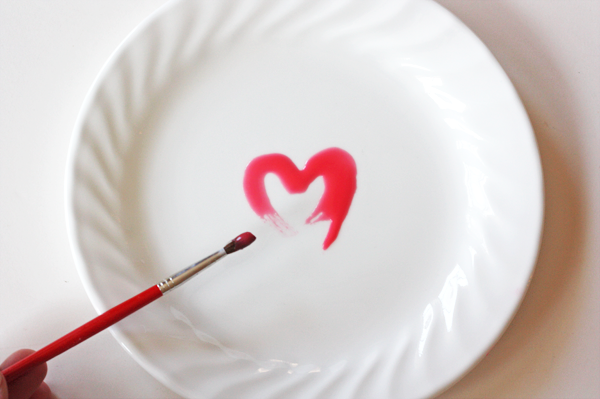 I can't wait to show off my decorated plate tomorrow at a valentines party!! Genius idea, Jessica! Absolutely love it to bits.